Who’d have thought the owner of a little dog like this wouldn’t be entirely happy with him? Harry is a happy-go-lucky Jack Russell Terrier. His behaviour is pretty normal for a lively young dog. But his owner finds some of the things he does a source of worry. • She doesn’t know how to cope with him running round the garden barking at birds. • She is driven mad by his standing six feet away from her ready to bolt when she calls him. • And she’s fed up with him jumping up to steal food off the table. So she called me in - to deal with “Harry’s problem behaviour”. First address the dog's "problem behaviour"
It was fairly simple to teach Harry some new things to do in the garden instead of barking at birds. (First stop is always to accompany the dog in the garden.) Having him enjoy running fast to his owner when called was a breeze. And sorting out the food-stealing didn’t take long. No, I’m not a genius or a miracle-worker! There are some proven (scientifically proven) methods of reaching a dog’s mind that are powerful and quick. What takes time, though, is reaching the dog-owner’s mind. And this is where the hard work came in! Working against a culture of “them and us” and “You’ll do it because I say so” is not so easy. Second, address the owner's "problem behaviour"
Harry’s owner had to learn that it takes two to tango. Personal relationships are complex, and it’s never one-sided. So in order to change Harry’s behaviour, it was essential for her to change her own. • The first thing to change was her expectations. A dog is a living being, with its own personality. It’s not a stuffed toy who never steps out of line or has an opinion. 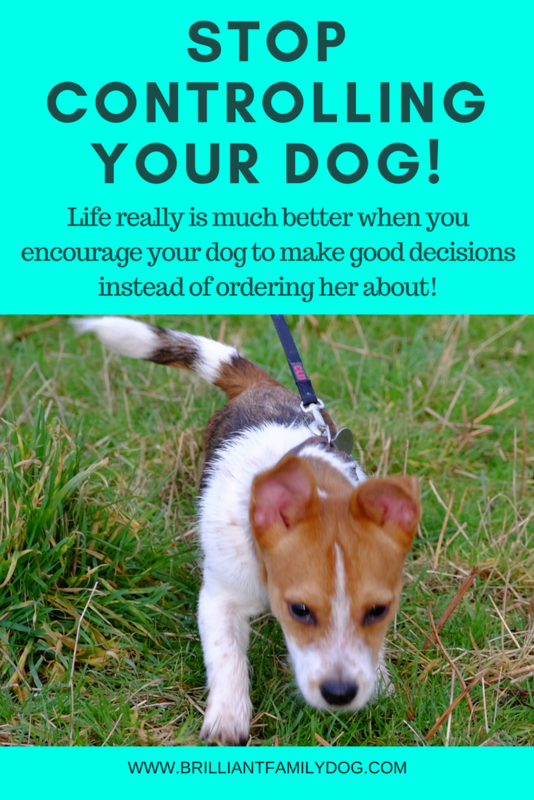 • Next was to change her approach from barking out orders like a sergeant-major, and instead working with her dog to get the outcome she desired without conflict. • She learnt to play interactive games with Harry which always involved choice and impulse control on Harry’s part. And the hardest thing of all? • To switch her from NO to YES. So Harry got lots of attention when he was doing something she didn’t like, and absolutely no attention at all when he did something she did like! Once we’d fixed this final piece of the puzzle, life changed dramatically for both of them. Harry was able to carry on being a happy-go-lucky young terrier, but at last knew how to please his owner. She in her turn, learnt to give him great feedback, to appreciate his individuality, and to enjoy the companionship she craved when she first got her pup. Want to get these kind of results for yourself and your dog? Click here for all the details you need to decide just how much this course will help you and your dog! and if you're starting out with a new puppy, this is the course specially for you and your fluffbundle!